Holitech Technology was founded in 2004 and has been producing Liquid Crystal Displays, Liquid Crystal Display Modules, Touch Screens, Fingerprint recognition, Smart Wearable Products, intelligent Vehicle Products, Intelligent Micro Controller, Intelligent TLI/TFT Modules, and Embedded Display Modules. Holitech Technology, a component manufacturer and solution provider, who is also a key component supplier for Xiaomi smartphones will start local manufacturing in India. The company has signed a memorandum of understanding with the state of Andhra Pradesh and will start local manufacturing in the city of Tirupati for Xiaomi. The company also plans to invest over $200millions in Andhra Pradesh in three years. This component manufacturing plant would be spread across 75 acres of land in the city of Tirupati and start mass production with a production capacity of nearly 50 million each component per year. The plant will also boast of nearly 50 per cent clean room, which is a contained space where provisions are made to reduce particulate contamination and control other environmental parameters such as temperature, humidity and pressure. The local manufacturing is likely to start in the first quarter of 2019, where Holitech Technology will manufacture Compact Camera Modules (CCM), Thin Film Transistor (TFT), Capacitive Touch Screen module (CTP), Flexible Printed Circuits (FPC), and fingerprint sensor locally at the Andhra Pradesh facility. This will result in generating 6000 jobs in three years. The state of Andhra Pradesh has extended several incentives for the establishment of the manufacturing plants in terms of tax, land and power subsidy along with several other incentives. Holitech Technology was founded in 2004 and has been producing Liquid Crystal Displays, Liquid Crystal Display Modules, Touch Screens, Fingerprint recognition, Smart Wearable Products, intelligent Vehicle Products, Intelligent Micro Controller, Intelligent TLI/TFT Modules, and Embedded Display Modules. The company has developed and produced more than 1,000 different products used in Instruments and Meters, Smart Home Appliances, Communication Products, Smartphones, Industrial Equipment, Medical Equipment, Automotive Electronics, Digital Products, Watches, etc. Flame Chen, Co-Founder and CEO, Holitech Technology said, "The phenomenal growth of Xiaomi along with their initiatives to promote local manufacturing has encouraged us to explore component manufacturing for Xiaomi in India. We are pleased to bring several industry firsts to the state of Andhra Pradesh with the manufacturing of camera modules, TFT, CTP, FPC and fingerprint sensors and high-quality clean room construction and take propel the growth of component manufacturing in India." Nara Lokesh, Minister of Information Technology, says, "Andhra Pradesh is one of the youngest pioneering states of India. The state has a young entrepreneurial spirit and poses an attractive destination for similar minded companies. Our state of the art infrastructural offerings make Andhra Pradesh an exciting investment opportunity and it is heartening to see Holitech Technology come to the state and initiate a big revolution in the market for local manufacturing." This announcement comes after Xiaomi's global Supplier Summit that happened in April 2018, with the objective to encourage its top 50 global suppliers to locally manufacture in India. 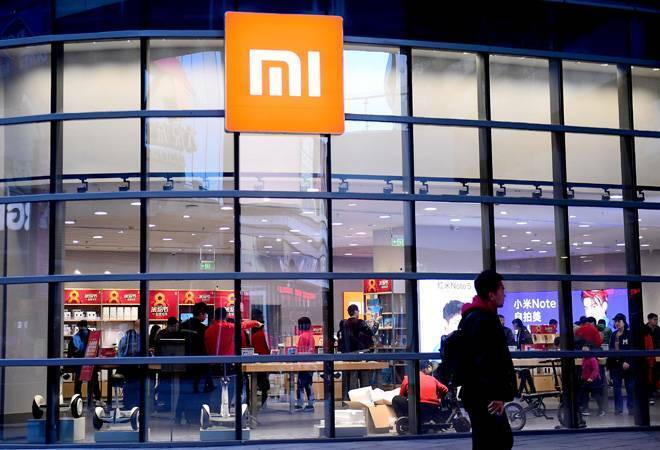 Manu Jain, Vice President, Xiaomi and Managing Director, Xiaomi India said, "Xiaomi has witnessed significant growth in the country and we are positive that Holitech's plans for India will set a new motion in place for the electronics manufacturing industry in India. Holitech is an important global component supplier of Xiaomi and with their entry in India; we are positive that a new era of local manufacturing will begin with several job creations and other component manufacturers also coming in."